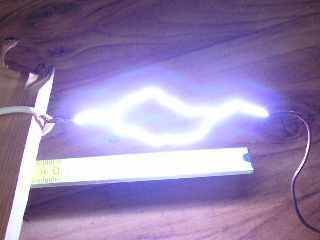 This high voltage power supply works as a cascade voltage multiplier with a multiplying ratio of 6. It is powered by 20kV high-voltage transformer with an operating frequency of 20 - 40kHz. 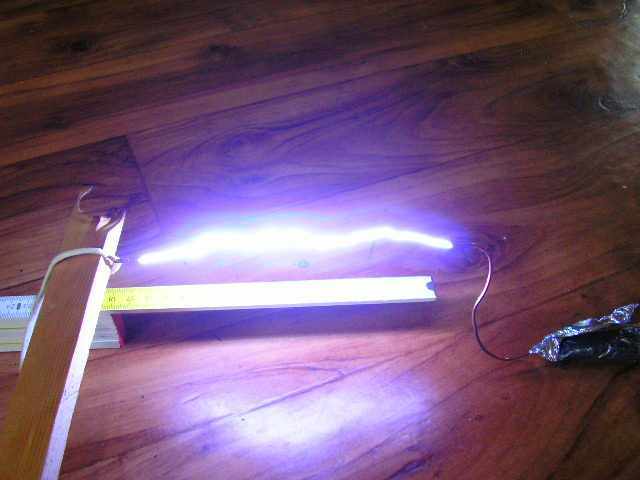 The multiplier is using six high voltage diodes rated 60kV. Each of the diodes is made up of 60 pcs of BA159 in series. 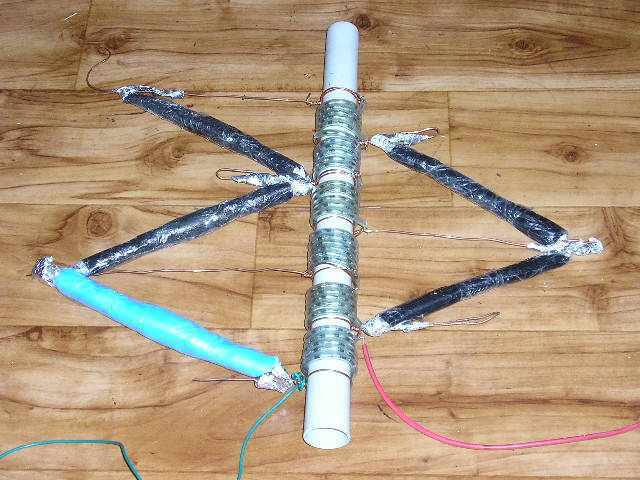 Capacitors are homemade (aluminum and plastic foils). The device is mounted onto a plastic (novodur) tube 38 x 480 mm. Warning! 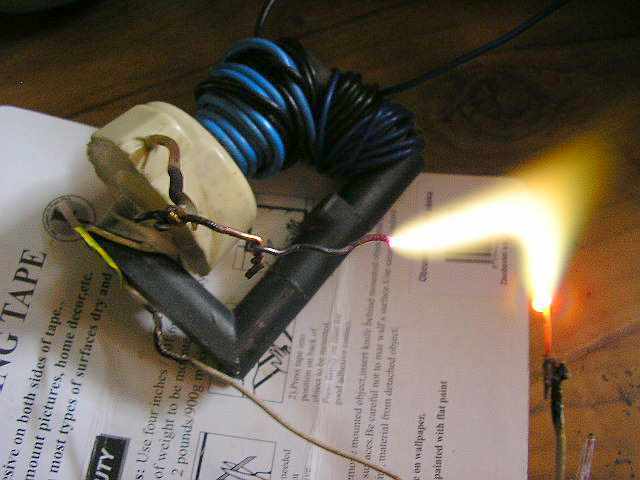 This high voltage power supply is very dangerous. 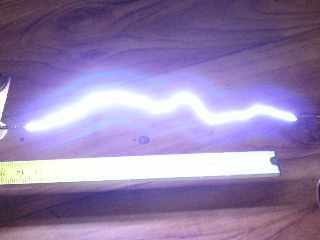 The output voltage can be lethal and reachs distances up to several tens of cm. Electrostatic forces can move with wires. Capacitors remain charged even after a long time being turned off. The source can damage nearby electronic devices and storage media. Arcs generate ozone and are extremely noisy. Author does not take any responsibility for any of your harm. All you're doing at your own risk. 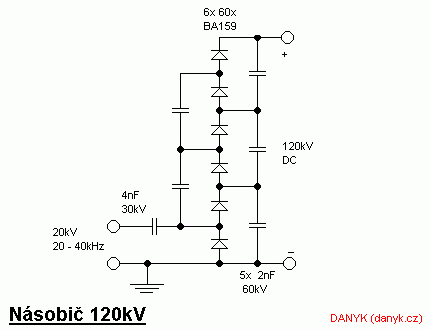 The schematic of the 120kV multiplier high voltage power supply. 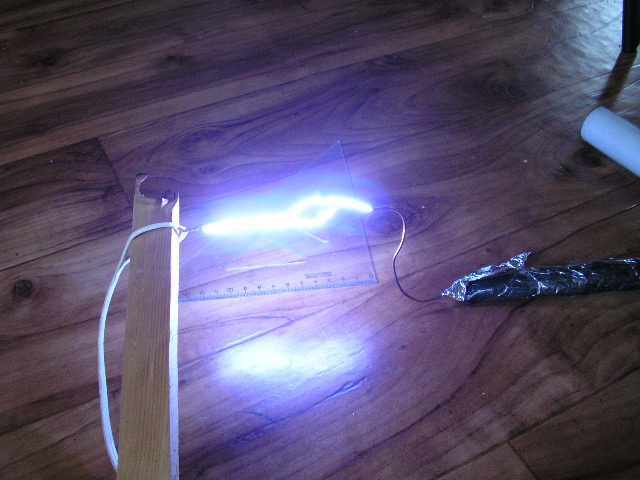 testing the 20kV transformer from an old TV. You can download the arcs videos in the videos.